Cleaning the oven has once again been named the UK’s most-hated household chore in a new survey. It’s not the first time the task has been voted as the absolute worst part of the housework, highlighting just how despised it really is. But seeing as oven cleaning keeps cropping up at the top of these surveys, is there a way to banish the dreaded task from your life for good? Which other chores do Brits despise? Overall, 62 per cent of the 2,000 poll respondents admitted to hating oven cleaning, putting the chore way ahead of the second most-hated household task, cleaning the hob, which amassed 24 per cent of the vote. In third place was washing the floor, which 22 per cent of people picked as their least favourite task. 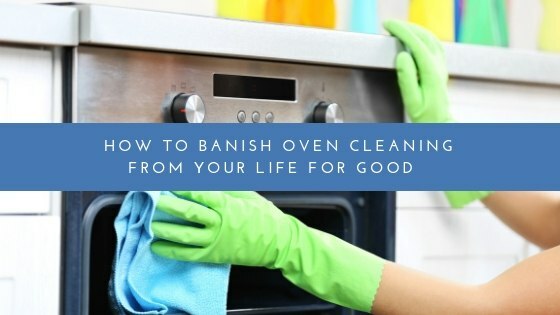 Six per cent of people detest cleaning the oven so much that they admit to never doing it, with a further 19 per cent revealing they do so less than once every six months, which is the recommended frequency. Meanwhile, 24 per cent only bother to mop and sweep their kitchen floors on a monthly basis, and one-fifth (19 per cent) only clean out their fridge twice a year at the most, meaning it’s likely to be a haven for potentially harmful germs. Altogether, just six per cent of the UK householders questioned for the survey said they liked all kinds of housework, with three per cent even going as far as cleaning their oven every single day – gold stars to them! But why aren’t the rest of cleaning our ovens, even though we have to in the interests of hygiene and not making ourselves ill each time we cook? Chloe Thacker, UK marketing director at Häfele, commented: “As our lives are getting busier, time is becoming increasingly precious, so it’s no surprise that some kitchen tasks are taking a back seat. It’s also why so many people are outsourcing their household cleaning to expert professionals like the team at FastKlean. Getting someone in to look after the housework takes away the burden of repetitive chores, and provides you with the reassurance that your home is being cleaned to an exceptionally high standard. We even offer a dedicated oven-cleaning service to take away the task of the most-hated chore of all from you. Watch the video below for jaw-dropping before and after results. What’s your least favourite household chore, and would you consider calling in the experts to do it for you instead? We know it’s tempting, and that’s exactly why we’re here to help. Contact us today to find out how we could help you banish oven-cleaning – and other chores – from your life for good.